Mainstreaming Impact Investing is a continuation of the Forum’s multi-year initiative on sustainable and impact investing. The objective is to identify in what ways impact investing may be a feasible strategy for certain traditional and mainstream investors and, where suitable, what factors are required to accelerate the flow of capital to impact investments from such investors. This was done in the format of an interactive game. Most private equity (PE) firms will not invest in funds. They are not funds of funds – the resulting cost structure would be too high. This sort of investment would be very difficult for a PE firm, as they typically don’t invest in bonds. Rare cases where an investment is made outside of the fund would be viewed as one-off philanthropy. The PE firm would certainly consider this investment, although it is a somewhat small investment and it is overvalued. A potential hurdle is how to raise capital when the investment is branded as “impact”. This could be a potential investment, but would be very atypical for a PE firm, so most would not consider it. However, the size and structure might be right for certain firms based in the right region. · Because PE firms look to take a debt or equity position in for-profit companies, they will likely only consider impact investments in for-profit companies. If the fund approach is small cap growth equity then impact investing may make sense for the firm to diversify its portfolio, but would not work with the existing fund if its strategy and approach was different. · One challenge will be the geographical focus. If the PE firm does not have emerging markets (or frontier markets) expertise or focus, then it could be costly to enter the space. · Framing will be especially important as PE firms think about raising capital for an impact fund; use of familiar language is critical (e.g. “it is a play on value investing” or “it offers risk management”). This is an interesting investment but sovereign wealth funds (SWFs) would need it to be much larger (replicate it, bundle it, make it larger). One idea is a series of fund managers with a bit of competition. This investment would not make sense for an SWF as it is simply too small and the government is already involved. This would meet all the objectives of an SWF (assuming it was in-country). It is a scalable, successful enterprise that meets a social need; that said, an SWF would want to do more of these as it is currently too small. This investment does not seem commercial. It is not appropriate for SWFs to promote non-commercial investments; perhaps other parts of government should do that instead. · SWFs would probably consider impact investing if the investments were in companies or funds focused on their country or region. They are often looking for opportunities outside of commodities and other resources, so this might be a viable option. 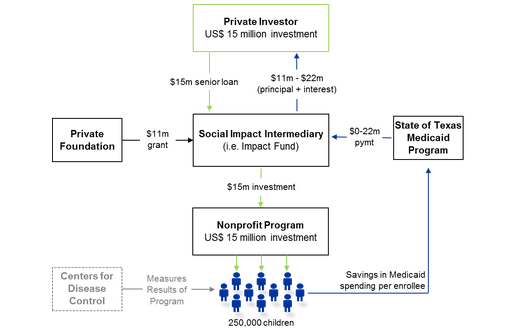 They could use impact investing as a means to catalyse private capital (by bearing more of the upfront risk). · Significant challenges still remain. In particular, typical investments are simply too small for most SWFs. Also, SWFs are under public scrutiny, thus social impact would have to be strictly measured and reported. · SWFs will likely first move into sustainable and responsible investing before impact investing. Norway’s SWF is one example, as it expanded its environmental portfolio in 2011 to include renewable energy and water management. This would be difficult for a foundation’s typical investment portfolio, given that most investment committees are unfamiliar with impact investing (although programme teams are not). This is likely the best option. It is a cutting-edge instrument with high visibility and could potentially deliver learning opportunities for the investment committee. Challenge: grant vs. investment? A basic equity play is risky for a foundation; the management team are more than likely in another country, so there would need to be people on the ground, which could be costly. However, the right opportunity and region could work. · In foundations, there is a big gap in terms of education. While programme teams may be familiar with impact investing, most investment committees are not. A communication barrier exists between the endowment side and the programme side of many foundations. One idea is to rotate investment committee managers into an impact investing role for learning purposes. This investment is all wrong. 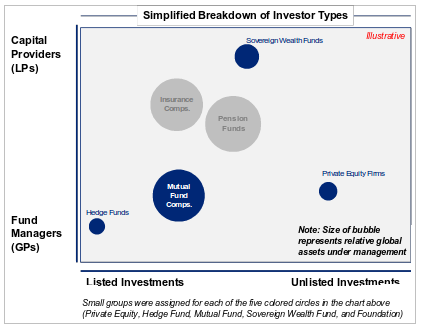 A hedge fund (HF) would not typically invest in a private equity fund. And it would not be willing to pay fees on fees. Also, it seems illiquid and has high costs. The structure of the transaction makes it very difficult for a HF to invest. It is slightly attractive in that it is probably uncorrelated to other investments in the HF’s portfolio. This would be the only investment that the HF would even consider making, but it would need to be publically traded. The pricing is easily understood, thus making it the preferred investment. · This was a difficult exercise for HFs. It would only be feasible using a different pool of capital. HF managers would be unwilling to use existing capital to pursue different objectives (it would act as a constraint). · HFs are good at analysing businesses, but not so good at measuring and managing impact. An investor would not normally ask a HF to do this. · If forced to create an impact investment strategy, the HF would have to fundraise from an additional investor base that had different objectives. The fund would analyse talented businesses and also contribute a portion of their profits to charity (similar to the way the Children’s Investment Fund Management gives a portion of its profits to charity). A mutual fund (MF) would not make this type of investment, as they would not normally invest in a private equity fund. Also, it seems illiquid and has high costs. The structure of the transaction makes it very difficult for an MF to consider investing. It is slightly attractive in that it is probably uncorrelated to other investments in the MF’s portfolio, but too different. This would be the only investment that the MF would consider making, but it would need to be publically traded. The size of this investment presents a challenge, as does its illiquid nature. This would be a very unlikely investment for an MF; the investment seems illiquid and its focus – real estate in a frontier market – is too risky. · This was a difficult exercise for MFs. · Positive financial return and social impact are possible dual-objectives for an MF; however, the investments would need to be very liquid and publically listed. · If forced to create an impact investment strategy, the MFs came up with the idea of raising capital for a new fund that invests solely in companies creating social impact. The fund could charge less in up-front management fees, but get a bonus for hitting social targets. Essentially the investors would buy with special terms. An MF could use the retail sales channel to draw money into the funds. For example, there are probably around 750,000 Greenpeace members who would be willing to make an investment that had a positive social or environmental impact. The fund would promote the idea that one can make more money by doing good. · Although impact investors were already aware of this, the group widely agreed that impact investing does not necessarily imply a financial loss or below-market returns. There is an implicit notion that there must be a trade-off between profit and purpose or money and meaning, but many impact investments have actually performed exceptionally well. The industry will need to demonstrate successful exits and realizations for institutional investors to put capital into impact investing. · The group agreed that businesses that receive impact investments must be financially viable; if not, there will be no long-term positive impact. That said, impact investing does not replace philanthropy. There are instances when for-profit business models simply do not work. · Many investors interested in impact investing are under the age of 50; the fund managers present recognized that the industry will become increasingly important in the coming years, as baby boomers transfer their wealth to the next generation. A survey of 5,000 millennials conducted by Deloitte found that 36% of them believed that the purpose of business is to improve society (the highest response). Of the respondents, 35% believed its purpose is to generate a profit. · Constraints to mainstreaming impact investing vary significantly based on the investment setting of the organization (e.g. investment threshold, expertise, investment type, etc.). For example, a US-based pension fund faces constraints that a South African-based small cap private equity firm does not face. · Mutual funds and hedge funds face the greatest obstacles in impact investing; they need companies to be publically listed, investments to be liquid, and investors that demand impact investing funds/products. As a result, they will likely be late entrants, as many impact companies have not reached the size and scale required for IPO. · There is a lot of industry expertise on financial metrics and evaluations, but much less on social impact – there is still a need to better understand and quantify social impact to compare and evaluate investments. If you plan to use this content for your own simulation, please let us know (ImpactInvesting@weforum.org). We are interested in finding out how the information is being used and whether we can provide guidance. New Life Capital is based in the United Kingdom and was founded in 2005 by two siblings with over 25 years of experience in traditional investment management. It currently manages £100 million across three impact funds, each of which has generated annual returns between 12% and 18% since its inception. One of its funds invests in clean technology companies in Western Africa, another invests in agricultural innovations in sub-Saharan Africa, and the third one is the East-African Microfinance Capital Fund (AMCF). The overall goal of the AMCF is to alleviate poverty by raising the average income level of borrowers who receive loans from MFIs. Many of the borrowers that the MFIs serve are unbanked and thus unable to access bank credit and financial products and services. All of the investments made by the AMCF are considered impact investments: they have targeted social impact metrics (tracked via a proprietary social scorecard) and seek above-market financial returns. MFIs that have received New Life funding serve approximately 85,000 borrowers. Of these, 80% are women, 60% are in rural areas, and 30% live below the poverty line. In order to receive funding, the AMCF requires that MFIs offer financial literacy training to their borrowers, including technical assistance programmes to ensure that borrowers develop the skills to manage and develop their businesses. The Texas Initiative for Childhood Obesity Reduction (TICOR) brings together multiple stakeholders in an effort to reduce obesity rates in under-18s in Texas. The initiative is seeking an investment of $15 million from a private investor. The investment will be in the form of a senior loan with 75% guaranteed by a private foundation (in the form of a grant). If the programme is a success, defined by a decline in the rate of childhood obesity, the government will return up to $22 million to the private investor. If TICOR is not a success, the private investor will recoup $11 million. A local non-profit organization, which has run similar programmes in the past, will implement the programme through a three-pronged strategy: 1. organizing after-school activity programmes, 2. building new playgrounds and playground equipment, and 3. working with a local food service distributor to add tasty and healthy alternatives to public school cafeteria menus. The programme targets children at the time of day (after school) when they are most likely to be playing video games, eating unhealthy snacks and watching television. Approximately 5% of children enrolled in public schools in Texas will be affected by the programme (~250,000). The targeted outcome, which will be measured and tracked by the Centers for Disease Control over a two-year period, is a reduction of the body mass index (BMI) of children participating in the programme by 5-12% (for example, a child with a BMI at the 96th percentile would be between the 84st to 91st percentile if the programme were a success). The projected savings to the Texas Medicaid Program and thus the expected return to the private investor vary based on the outcome range. Childhood obesity is a persistent problem in the United States. Childhood obesity is defined by the Centers for Disease Control and Prevention as a BMI at or above the 95th percentile for children of the same age and gender (based on growth charts from a reference population). It affects 20% of American children aged 6-11 years and 18% of American children aged 12-19 years. In the past 30 years, childhood obesity has tripled in the United States. It leads to many health problems, including high cholesterol, high blood pressure, pre-diabetes, and bone and joint problems. As a result, direct health expenses associated with childhood obesity are estimated to cost over $10 billion in the United States; children covered by Medicaid are almost six times more likely to be treated for obesity than children covered by private insurance – thus the economic toll on state budgets is tremendous. Healthy Heart Hospital (H3) is a private healthcare provider in Bangladesh that operates six tertiary hospitals across the country. It is looking to raise approximately $40 million to help fuel growth and expansion across Bangladesh, and is willing to give up a 30% equity stake in the company. It has successfully increased both revenue and profitability over the past five years and is positioned for continued success based on its ability to reduce per unit operating costs while maintaining premium standards of care delivery. Founded in 2007, H3 has built a profitable business model based on a simple strategy that was a success for Narayana Hrudayalaya Heart Hospital in neighbouring India. H3 offers premium quality tertiary healthcare to citizens of Bangladesh through a subsidization strategy. Patients who are able to pay the full price of the tertiary care subsidize the cost for patients who cannot. Although the quality of care is the same for both patient types, full-paying patients receive other benefits (i.e. private recovery rooms, choice of meal, etc.) that subsidized patients do not receive. H3’s mission is to provide affordable healthcare – namely complex procedures such as heart surgery – to the poor. Over the past five years, it has performed thousands of operations on poor patients who previously were either unable to afford it or had to wait for months, or even years, to receive the procedures from public hospitals. In December 2012, H3 became a certified B-Corporation, given the favourable results of a Global Impact Investing Rating System (GIIRS) assessment (6). Furthermore, it tracks IRIS metrics and reports these to its shareholders. Neza-Chalco-Itza in Mexico City, home to 4 million people, is considered the largest slum in the world. The Neza-Chalco-Itza Redevelopment & Upgrade Program (N-RUP), commissioned by the Mexican government, is intended to upgrade the quality of housing, improve amenities and services, and upgrade/install infrastructure (e.g. mobile water units that are as efficient as piped water supply). Private investment into Mexico City has steadily risen in recent years; the government is therefore looking to upgrade the entire Neza-Chalco-Itza slum to keep pace with the rest of the city. It is estimated the programme will cost MXN 125 billion (approximately $10 billion). In December 2012, the Mexican government asked developers to bid on the right to lead the effort. The terms of the redevelopment stipulated that housing for slum residents must be provided free of charge; however, the incentive for developers was the additional floor space that could be built and sold in residential and commercial markets. For every square foot of free housing provided to residents of the slum, 1.25 square feet could be built and sold on the open market. The underlying assumption was that the more efficient land use, access to private capital and strategic planning could lead to significant profits over the course of the project. Private investors would provide the investment capital (debt financing) and would be expected to earn 8%-13% annual returns. The development is expected to take 10 to 15 years. The decision is whether or not to invest in the real estate developer that won the bid to redevelop the slum (approximately 50 developers submitted a response to the government’s initial request for proposals). The programme is expected to significantly improve the living conditions of residents of Neza-Chalco-Itza. The developer will build new roads, sanitation systems, health centres, schools, and community/cultural centres. As a result, crime rates are expected to decline, as are health costs associated with treating waterborne illnesses. Although the long-term impact on the community is expected to be positive, residents will initially be displaced during the development period. Temporary housing will be established, although many NGOs have expressed concern about equitable development (i.e. that residents are distributed land equitably) and the cultural implications arising from land redistribution. [Mutual fund] is a global asset manager providing financial products and services to institutional and retail clients around the world. It manages mutual funds and provides wealth management, retirement and discount brokerage services. It has approximately $45 billion in assets under management, and manages about 25 mutual funds. In terms of its investment approach, [mutual fund] is an active, diversified and long-term asset manager. Its investment strategies cross all major asset classes and vary based on the company’s maturity (value vs. growth) and size (large, mid and small cap). Its largest mutual fund has approximately $7 billion in assets (large cap value fund) and its smallest has $5 million (small cap growth fund). Like other mutual fund and financial services companies, fund performance varies. [Mutual fund]’s investment performance is industry-leading, with over 70% of its mutual funds beating their respective Lipper peer average for the 3-, 5- and 10-year period ending 31 December 2012. In recent years, [mutual fund]’s product development team has been analysing the opportunity of launching a new fund that invests in the securities of companies that seek to create a positive impact on society (“impact investing”). Management believes that a “values fund” may be able to drive a competitive advantage in the marketplace. While a number of responsible or sustainable funds have been created by others in the past, few have pioneered a fund that seeks impact first and financial return second. Although a number of challenges have been raised, the management team has decided to craft an impact investment strategy. [Endowment] is the investment management company for a large private university based in the United States. With approximately $5 billion in assets under management, [endowment] is one of the 20 largest American college endowments. Over the past 10 years, [endowment]’s annualized returns of approximately 7% exceeded the performance of its peers. Its success is largely attributed to diversification achieved through its investment strategy. In terms of investment philosophy, [endowment] executes a relatively unconventional approach to managing its endowment. 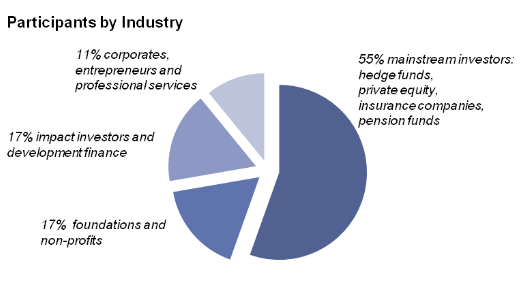 While it maintains holdings in equities, bonds and cash (combine to form 20% of portfolio in 2012), it also makes significant investments in private equity (35%), hedge funds (20%) and real assets (25%). As a result, its exposure to illiquid assets is typically higher than average university endowments. In recent years, emerging markets have become more prominent in [endowment]’s foreign equity portfolio. Investment managers look for inefficiencies in these growing markets to generate substantial above-market returns. However, in 2012, they have also started to seek investment opportunities that create social and environmental value in emerging markets. Two new members to the board of trustees have become vocal proponents of business as a means to create tremendous social value. As such, [endowment]’s investment team have been tasked to consider developing an investment strategy that includes impact investments. The team will consider how an impact investing strategy fits within its existing investment philosophy and the ideal impact investments that it would consider making. [Foundation] is a private foundation based in the United States with $2 billion in assets under management. Its primary focus and mission is to end extreme poverty. Its programmes and grants attempt to create employment opportunities among the world’s poorest, and end extreme hunger for children under the age of five. Its asset allocation strategy is typical of most foundations: domestic and international equities (40%), fixed income (15%), alternative strategies including private equity and hedge funds (35%) and cash (10%). It prioritizes long-term investments, with limited risk and stable returns. Its average rate of return over the past decade was approximately 6%. In recent years, [foundation] has started to engage in mission investing, and now holds programme-related investments totalling about 1% of the total assets under management. In an effort to “do more good” and more effectively achieve its mission of ending extreme poverty, [foundation] is reevaluating its asset allocation strategy, and is specifically considering impact investing. The management team will consider how an impact investing strategy fits within its existing investment philosophy and the ideal impact investments that it would consider making. [Equity fund] is an alternative investment firm with about $1.5 billion in total assets under management. Over the past decade, it has generated average rates of return that have consistently outperformed the S&P 500. In terms of its investment approach, [equity fund] has traditionally been a long/short public equity hedge fund, rooted in company fundamentals (revenue and earnings growth, free cash flow, etc.). Its long positions are typically between $25 million and $50 million. Its management prefers positions that it can fully liquidate in less than 10 days. Investors look to [equity fund] to deliver higher and less volatile returns; it invests in companies and serves institutional investors all over the world, although mainly in the United States. Recently, [equity fund] has started to consider taking a more multidimensional approach to portfolio construction, seeking above-market returns in other asset classes, regions, investment structures, etc. It has started to serve some wealthy retail investors who have specifically asked about investment products that “do good” for society. As such, the firm is considering allocating a small percentage of its portfolio to investment strategies that seek to have a positive social or environmental impact. The strategy has yet to be fully defined; the management will therefore have to determine how impact investing will fit within its existing investment strategy and operation. [Pension fund] is a multi-employer private pension fund, responsible for administering pensions for government employees of a given state/province. It manages about $30 billion in total assets, and also actively invests the plan’s pension fund. 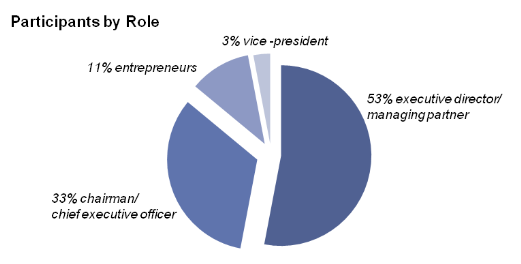 As such, it has appointed board members and has developed and relies largely on in-house investment management teams. [Pension fund] has three main investment groups: infrastructure and real estate, capital markets, and private equity/venture capital. The size of investments typically ranges between $50 million and $150 million. There have been a few cases of investments as small as $1 million (through a venture capital investment), but this is rare. In terms of investment performance, [pension fund] has an excellent track record, generating an average annual return of 7% over the past 20 years. One reason for its success is [pension fund] takes more positions in less liquid assets (e.g. infrastructure) than traditional or smaller pension funds. Laws that govern the fund’s investing activities stipulate the fiduciary responsibility of fund managers, stating that investments must be made that optimize financial return and minimize risk. As such, investments can be made that create social and environmental impact, but only if they do not generate below-market rates of return. Although responsible investing (negative screening) has generated some popularity in recent years among pension funds, [pension fund] is considering development of a strategy that actively seeks companies that intentionally create social and environmental value, but also generate above-market returns. The strategy has not yet been fully developed, and there is some concern that the option is not even on the table given the mandate of pension funds to be financially focused first. [Private equity firm] is a private equity firm with $5 billion in committed capital, and stakes in about 20 companies. Over the past decade, it has generated average rates of return that have consistently outperformed the S&P 500. In terms of its investment strategy, [private equity firm] seeks to make significant equity and growth capital investments in companies that are facing transitional challenges (e.g. strategic, operational, organizational, etc.). It looks to sectors that have significant growth potential, but prioritizes consumer, energy, financial services and healthcare. The firm looks to capture returns through growth, free cash-flow generation and multiple expansion. It typically makes investments between $50 million and $200 million and seeks opportunities mainly in developed markets. [Private equity firm] works very closely with its management teams, and provides best-in-class advisory services. Its objective is to monetize investments through structured exits after three to five years to public markets or other private buyers. In recent years, [private equity firm] has started to look to emerging markets with proven growth potential, and where companies struggle to access additional capital. Fiscal uncertainty and perceived macroeconomic instability in more established markets have prompted select institutional investors to ask management about opportunities in emerging and developing markets. Some of the investors have specifically asked about potential funds that “do good” for society. As such, [private equity firm] is considering targeting companies/funds that have a positive social or environment impact, in addition to offering the potential for lucrative exits. The potential strategy has yet to be fully defined; the management will therefore have to determine how impact investing fits within its existing investment strategy and operation. [Sovereign wealth fund] is the investment corporation of the government of an emerging economy (GDP per capita in 2012 of approximately $9,000) with approximately $50 billion in assets under management. The fund’s capital is primarily generated from commodity revenue and foreign exchange reserves. Like most sovereign wealth funds, [sovereign wealth fund] has a long-term investment horizon and flexibility in terms of the risk profile of its investments. It is a relatively young fund with an investment mandate to promote economic growth and economic diversification away from dependency on commodity production. [Sovereign wealth fund] generally prefers direct investments, primarily focused on public and private domestic companies (60% of assets under management), as well as fixed income securities (15%), and public holdings in developed markets (25%). In terms of domestic investment, it often takes a majority stake in the company and seeks to monitor firm activities to improve governance and ensure long-term sustainability. The typical size of its investments ranges between $125 million and $200 million. Since inception in the late 1990s, [sovereign wealth fund] has generated average annualized returns between 4% and 7%. Like other large capital providers, [sovereign wealth fund] management is under intense scrutiny from country leadership to ensure long-term fund performance. Given the amount of capital under management, and the willingness to make risky investments that may not generate expected returns for a number of years, [sovereign wealth fund] often makes investments that are largely overlooked by most funds. Over the past few years, fund managers have started to consider impact investing. Most of [sovereign wealth fund]’s investments are domestic and attempt to promote economic growth and alleviate poverty, and thus might be considered impact investments. However, it is currently looking to craft a strategy that intentionally deploys capital to have a positive social impact on the communities it serves.